View from a US landing boat on the shores of Omaha Beach. 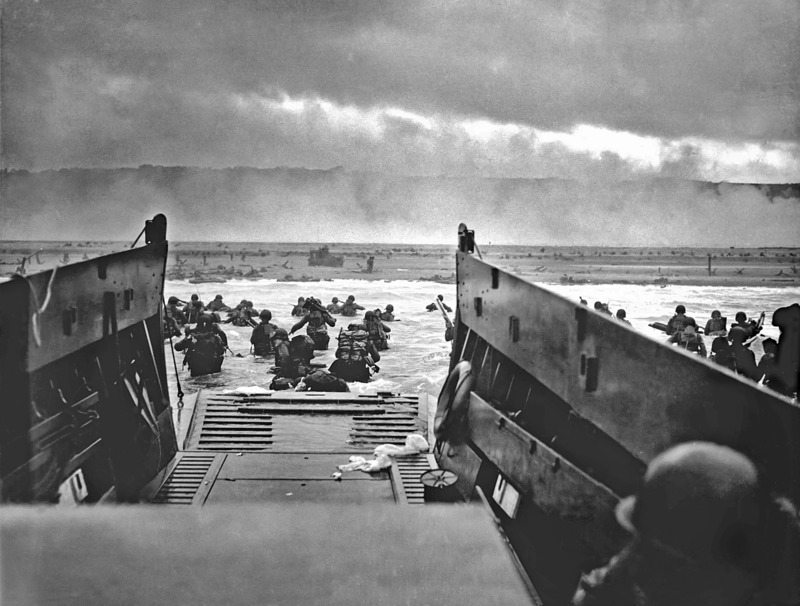 June 6, 1944. States are no ever-lasting entities. They come and go like any other political institution. With the one distinct difference that states mostly outlive the lifespan of the average earth-dweller. Most of the time, that is. Throughout history, certain generations had the unique chance witness the “life cycle” of a state in full range, meaning from their calling into their existence to their often despicable demise. The fascist German state saw a lifespan of exactly twelve years. What started in May 1933 as the so called rise to power ended in the ruins that made up for the Germany of 1945. With the Nuremberg trials following the crushing and conditionless surrender of the German military on May 8, 1945 the 20th century – for the first time in history – put a state on trial: indicted were none other than the former elite of the fascist regime. Anyone of them who had not yet committed suicide was facing either the death sentence or lifetime imprisonment. As justified as the invasion in the Normandy of 1944 and the Nuremberg trials of 1949 had been, they leave a bitter aftertaste. The bottom line being that it took states in order to wipe out a state. All in all, the Second World War was a material-laden skirmish of states, and that means: of ruling classes – and not of “the people” as German, Soviet, British or American propaganda might have you believe. Why Germany, you ask? What made the Germans create the most ruthless state in recorded history, not even revolting against it when defeat was obvious? First of all it has to be noted that fascism – in its purest, right-leaning form and not in its “socialist” variations – is a child of ruling classes “stuck in the middle”. Just as Germany was – and is – stuck in between the power axes of Russia (East) and the Unites States (West). Italy is stuck in between the axes of Europe’s developed Protestand North and the underdeveloped “outskirts” in the Southeast of the continent. Secondly, we can now say that right-winging fascism is a product of geopolitical helplessness. The bigger the helplessness, the more does the ruling class – and many of the succumbants alike – see a “strong”, i.e. militaristic and authoritarian state as their safe haven. And today? The state as such is well-alive. 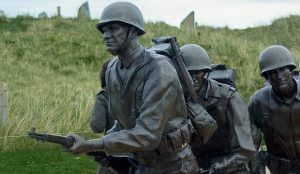 Will fearful ruling classes receive a second chance at fighting each other with such immense resources as they have during the Normandy landinf in 1944? – T’would be a rare occasion after the development of the Nuclear and the Hydrogen bomb. Are nation states nonetheless causing havoc all around the globe? – There is no doubt about it. How about a second invasion of the Normandy? This time a domestic one where the shores of a small minority ruling over the diluted minds of the unseeing majority are breached. In regard to the monarchist / industrialist ruling classes enforcing the mass slaughter that would later be known as World War I, German socalist Karl Liebknecht said in 1915 that the “main enemy” is not the French, the British or the Russians, but in fact “a domestic one”. I couldn’t have put it in better words myself.